Hundreds of colorful fish spent the weekend swimming around the Del Mar fairgrounds. 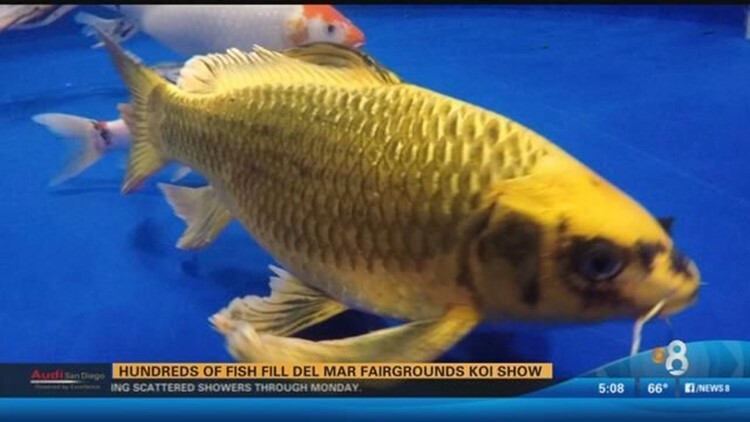 SAN DIEGO (CBS 8) - Hundreds of colorful fish spent the weekend swimming around the Del Mar fairgrounds. It was all part of the 29th Annual Koi Show and Competition which wrapped up Sunday. The event featured vendors, workshops and a see-through window so customers could be face to face with the fish. Organizers say the event is the largest of its kind on the West Coast.